The incoming 1st Vice President of the National Corn Growers Association is Ron Litterer, Greene, IA. Here at the Farm Progress Show, I talked to Ron about the impact of using more and more corn for fuel and what his thoughts are on the issue of how that affects other uses of the commodity. 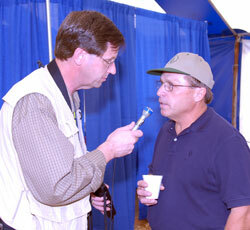 Ron’s being interviewed here by Tom Steever of Brownfield Ag News. 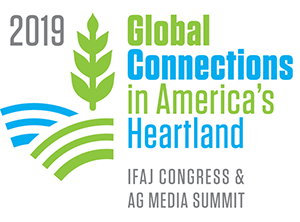 Ron says that people need to realize we don’t have a “static” supply and that our American farmers can produce enough corn to handle the projected needs of the fuel and food industries. Ron also feeds hogs and he says that after two years of very low priced corn he has no problem with the fact that the price of corn may rise. In fact, he says this is a good thing for all farmers.